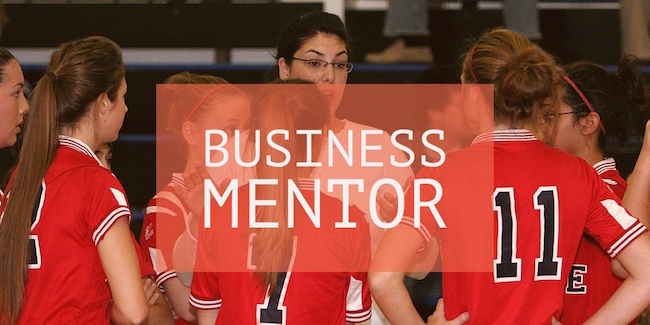 Is it Worth it to Get a Business Mentor? Last year in 2015, I spent over $15,000 on business mentors. It seems like an astronomical number, I know, and it’s hard for me to believe it too especially because I hardly made more than that in my entire third year of business. Business mentors can offer incredible returns on investments, though. Unlike courses or books, investing in your relationship with a mentor gives you access to their connections, their resources, and their experience. The person you want be your mentor is someone you greatly admire. They should be someone in your industry and someone you aspire to be. Keep in mind that the longer someone has been in business and the longer their career has been, the more expensive they might be as a mentor. Even if you’re not sure if someone is offering their services as a coach or mentor, you can always e-mail them and express your interest and ask. You never know when someone will be willing to lend a helping hand or will want to help you grow in your own career. Generally, the best time to hire a mentor is when you want to grow in your career quickly. Many people can grow through the ranks month by month and year by year but often working with a mentor and getting their insights can help to accelerate your growth tremendously. A mentor can introduce you to different people in your industry and they might even refer you to clients that might not be a good fit for them. All of this can help you to improve your income, your relationships, and your network in general. It’s hard to say exactly how much you should spend on a mentor or a coach, but a general rule of thumb is to not spend more than you can afford. It’s wise to save money in your business account for business growth and development, and when you feel ready and have the money to spend on someone’s expertise, that will be a good time. You should also only spend money that you hope to get back quickly in terms of your growth. Generally, I recommend that you only spend money that you expect a return on in your business within six months to a year. So, if you know that working with a coach can help you land larger contracts that will help you earn your money back, then it’s worth it. If a coach doesn’t have testimonials or you aren’t sure if they’ve ever worked with a protege before, it might be wise to wait until you get more information about how working with them can help you grow in your career. Ultimately, working with a mentor or coach is a great way to supercharge your business, meet more influential people in your niche, and learn more about how ultra successful people make money in your industry. As long as you determine the investment will be worth it and that you will eventually make your money back, then it’s worth the cost.